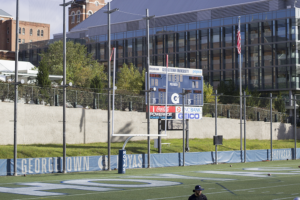 In its earliest days, The Hoya mainly covered sports. 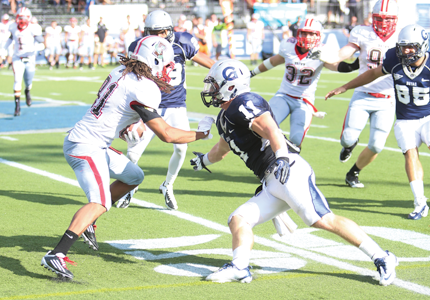 Ninety-five years later, Georgetown’s teams are still central to the newspaper. 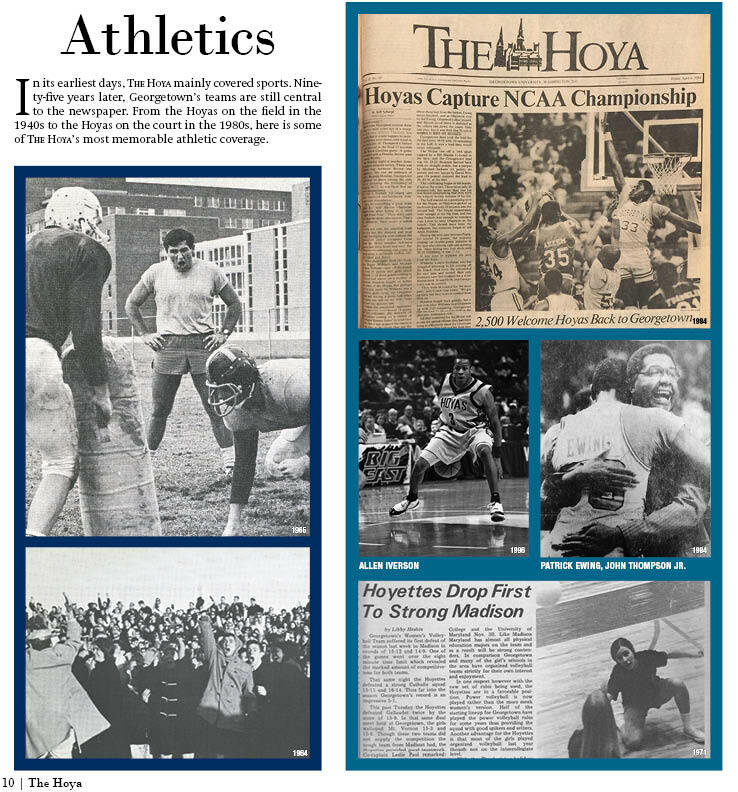 From the Hoyas on the field in the 1940s to the Hoyas on the court in the 1980s, here is some of The Hoya’s most memorable athletic coverage. IAC Named for Thompson Jr.